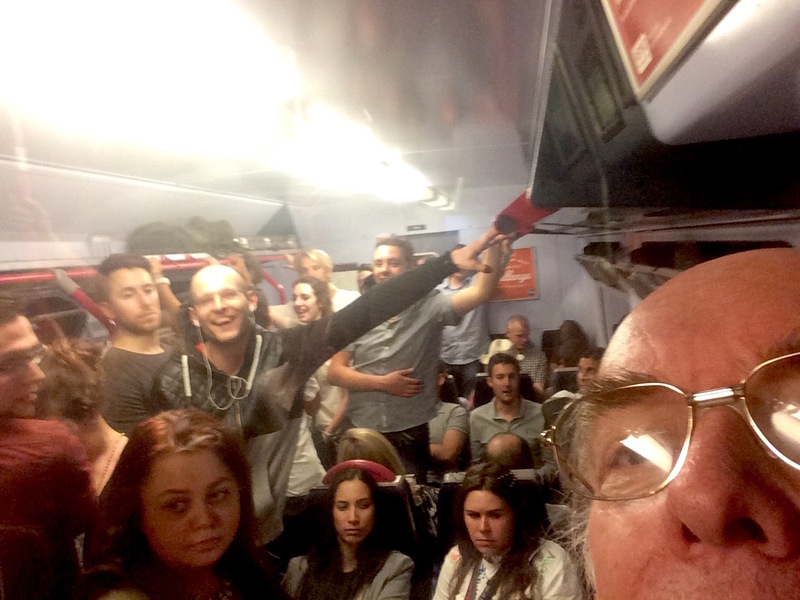 I have blogged about the daily chaos on the Thameslink rail line through London before. Only two platforms were open at Hendon station: one going north; one going south. I had a 26 minute wait for the 2301 northbound train. At 2300, it disappeared from the indicator board to be replaced by a 2334 train. At 2305, I suddenly realised the train which had just arrived on the southbound platform had arrived heading north and I legged-it up the steps, across the bridge, down the steps and (with luck) got onto the train literally 4 seconds before the doors closed. Of course, this being Thameslink, there had been no visual sign or audio announcement of the platform change, just the visual display changing the next train’s time to 2334. This has been going on for around a year and started about one month after Govia took over the contract to run the line from a previously perfectly-OK company. It makes me long to live in North Korea. You can get people shot there.